Recently, 8 Series Convertible was officially introduced before the world launch at the Los Angles Auto Show. BMW, the new 8 Series was officially introduced about 5 months ago. This was a coupe in the GT category. GT means grand touring, so long. That is, the 8 Series is a vehicle designed primarily for long roads between cities or countries. For this reason, both high performance and good comfort at the same time. Now, BMW is now officially announcing the 8-Series Convertible version of the 8-Series. This top-open 8 Series, which we learned will be available around March 2019, will cost around $ 10,000 more than the coupe. In addition, the 8 Series will be available later this year, while the convertible version will be on sale after about 4 months. 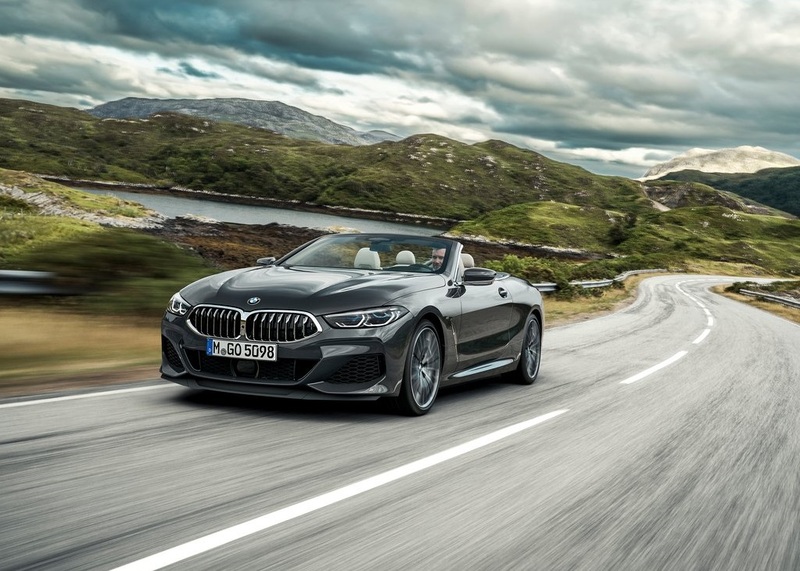 In the 8 Series Convertible, we learn that one of the engine options will be the M850i ​​xDrive. This version features a 4.4-liter double-turbocharged V8 engine and a torque of 750 Nm with 530 hp. The 8-speed automatic transmission in the vehicle will transfer this high power to the two axes along with the 4-wheel drive system xDrive. 8 Series Convertible's specified 0-100 km / h acceleration time is around 3.8 seconds. In the coupe version, this value was around 3.7 seconds. The maximum speed for both versions is 250 km / h, of course with electronic limiters. 8 Series Convertible's second engine option will be 840d xDrive. In this version, a 3.0-liter twin-turbo and an in-line 6-cylinder diesel engine are in operation. This engine has 320 horsepower and a torque of 680 Nm. This version also includes an 8-speed automatic transmission and 4-wheel drive system. In terms of design, the 8 Series Convertible looks more like a coupe in general. So we can say that there is not much difference apart from the electrically openable fabric ceiling. When the roof is folded, we see a protective cover that has the same stitches as the console and door panels. This protective cover also resembles the ceiling shape of the 8 Series Coupe with its curved structure. The opening and closing time of the roof is 15 seconds. The opening and closing process can be done at speeds up to 48 km / h. There is also a wind reflector on the front of the rear seats to reduce the impact of the wind when the roof is open. There are also luxury features such as neck heating in the seats. Finally, if you refer to the equipment in the 8-Series Convertible, the optional M Carbon body package is attracting our attention. This package comes with carbon-fiber-reinforced polymer parts replacing the rods, mirror covers and some of the rear diffuser in the air inlets. Another option is the Bowers & Wilkins Diamond Surround sound system with 12 speakers. One of the most luxurious options is the selection of parts such as the gear knob, the iDrive controller, the engine start button, and the volume up / down button of the sound system. Customers who want to enrich their tools in terms of technology can get the assistant package called Driving Assistant Professional. This package includes adaptive cruise control, lane tracking assistant, pedestrian emergency brake, night vision. BMW, 8 Series Convertible live for the first time in late November at the Los Angeles Auto Show will be held in the world.